With clouds forming overhead, we frantically began mowing and string trimming Friday evening, but we had to take a break when the rain and lightning started. Thankfully, we squeezed in 20 more minutes between a break in the rain and darkness. It rained nearly all day yesterday, so I couldn’t take a good photo of the result till today. It ain’t pretty, but at least it’s short. Until next week. If it weren’t for the goatpies, I would seriously consider a goat. ← i’m going to be there. I’d love to have a goat, but grass is practically illegal here. Forget the goat. I’d love to have some rain. 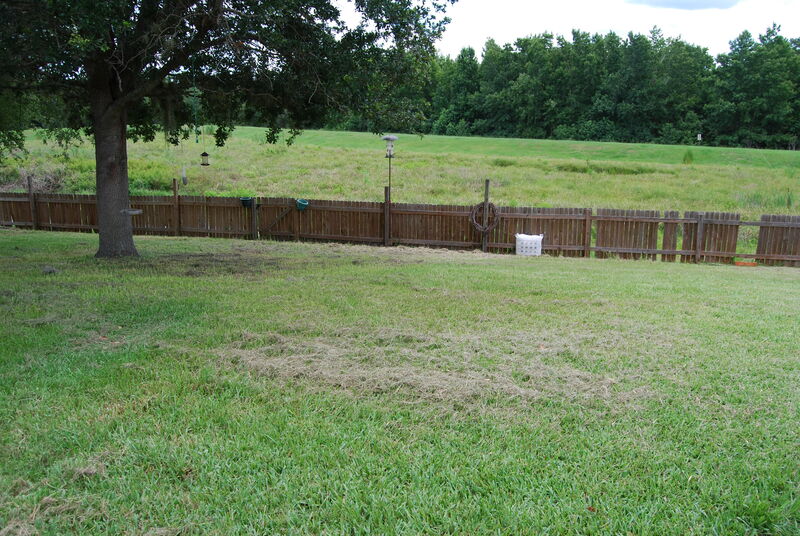 We have a property that we are in the process of flipping and the grass is real high – really really high. The neighbor asked if he could mow for us (lovely man!) but we haven’t swept the ground for all of the nails and other sharp objects, so we can’t allow him to mow. I don’t want to replace a flat tire. 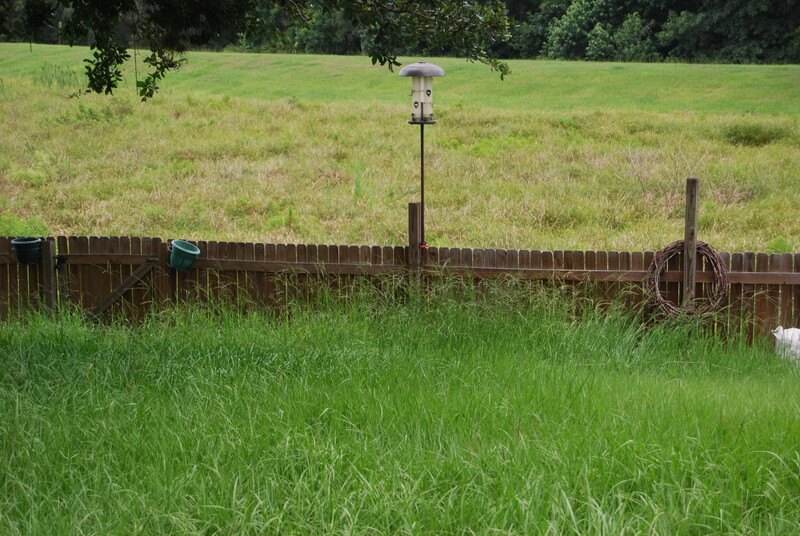 I forget that the grass is too high because I don’t live there — poor neighbors. We’ll be done in 2 weeks, grass and all.